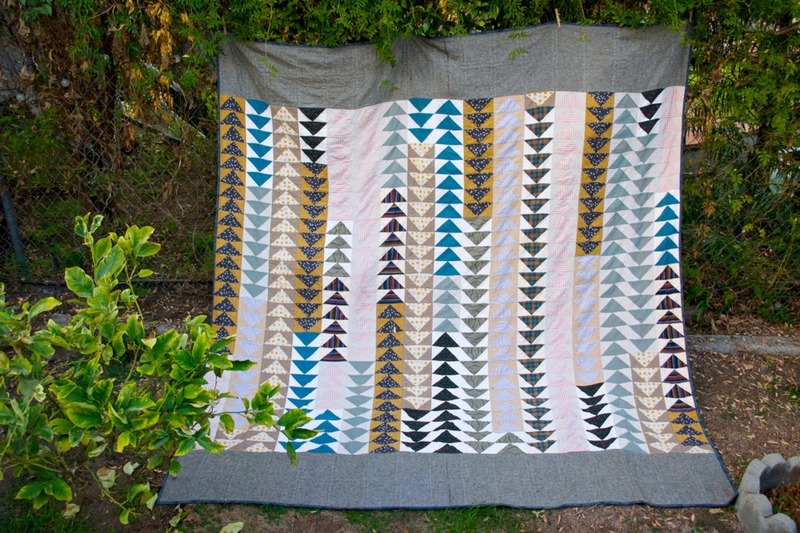 This is my most favorite quilt I have ever made. This is why it has taken me a year [yes a year] to take pictures of it. Firstly, I was using it. 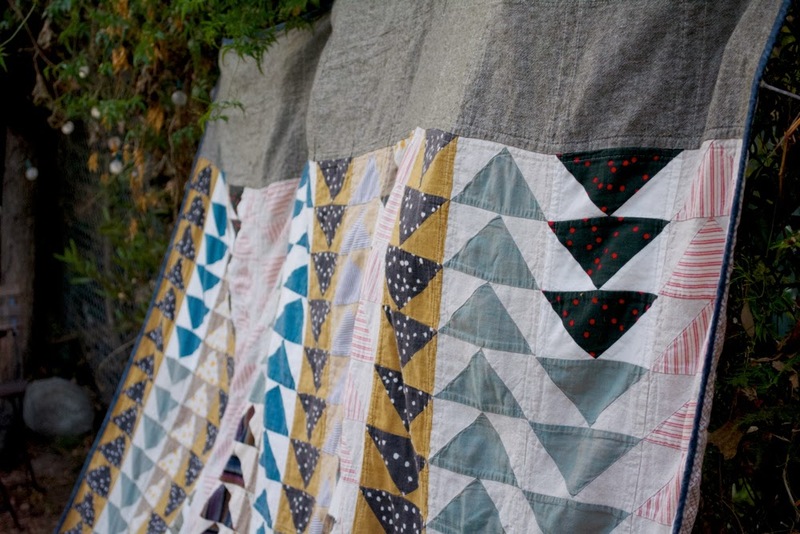 Secondly, it's weirdly challenging to take pictures of a queen size quilt. Thirdly, and most importantly, I was really, really protective of this Thing That I Love That Took Forever and Was Also Hard. But now it's been used for a year, and while I love it as much as I ever did, it's a little less precious. Like un-precious enough for me to take it to a public park and drag it across some dead leaves, or clothespin it up to a chain link fence against some weird prickly succulent thing. Rest assured, it survived, and is currently being carefully laundered in the gentlest of cycles. 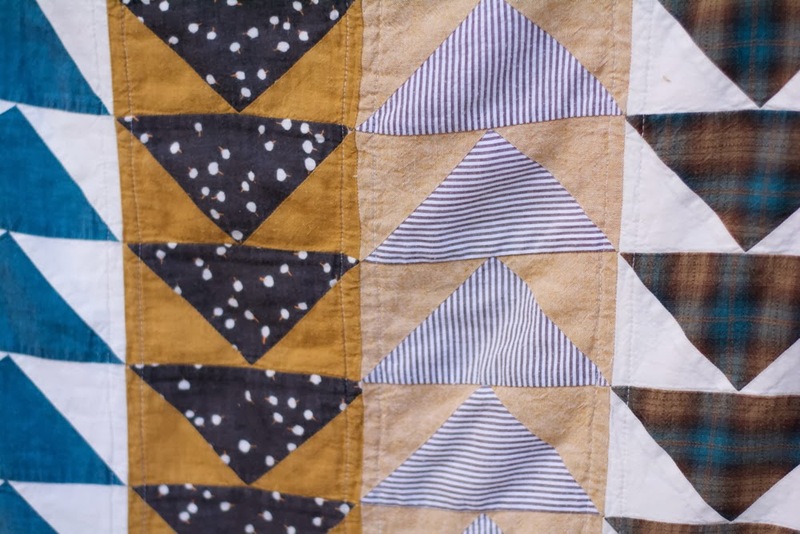 My inspiration was this quilt from Anthropologie, which, according to Pinterest, I first took note of two whole years ago. 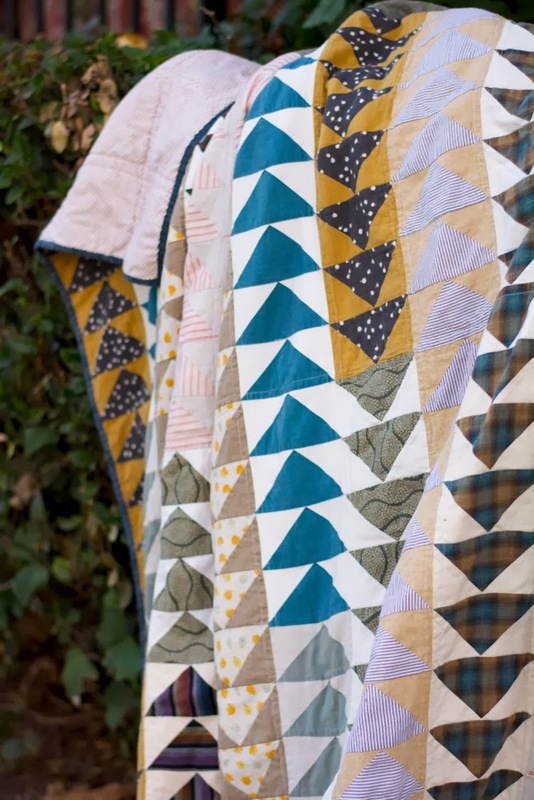 I loved the organized yet randomly grouped rows of flying geese and the homespun look of the fabrics. I really wanted to make one for myself. 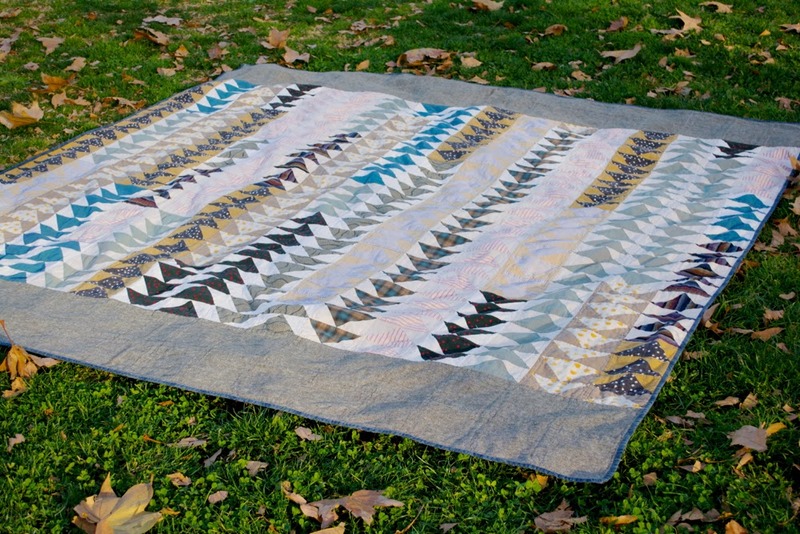 I'd never made a quilt for my own bed before, and this was the one to make, I decided with resolve. I used a combination of lots of different fabrics I already had, and added a few to fill up the space. I would just make blocks from a scrap until I couldn't any more, and that was how many of that block I ended up with. 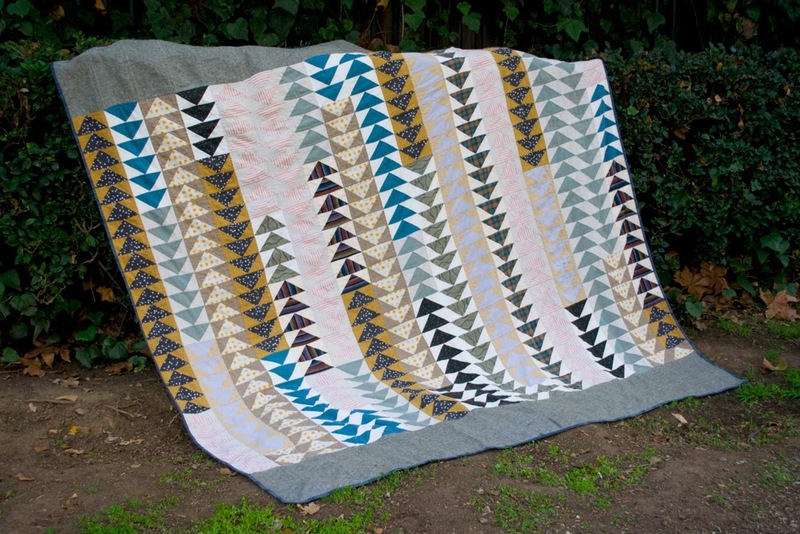 This quilt took 442 flying geese, which sounds horrifying. But I used this tutorial to make four at a time and just kept my head down for weeks and weeks until I seemed to have enough. And confession time: I kinda goofed my measurements, so I had to add the gray linen/rayon fabric at the top and bottom. But I actually love it and wouldn't change it now if I could. As far as design goes, I used my computer to arrange them and figure out the layout. There's no way I was going to lay it all out in real life. Ain't nobody got time for that. For my next post [now posted here], I'll be going into detail about how to do that! For the backing, I went to Target and bought a king sized Threshold sheet set. I actually found a print with little arrows that went perfectly with the top. It's a really beautiful satiny fabric too that feels so nice. 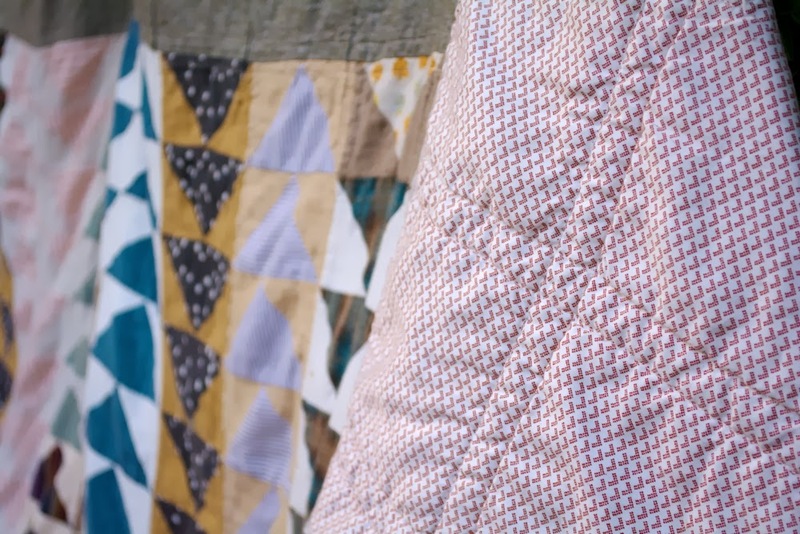 I did have to buy a whole set just to get a flat sheet, but I've been using the other pieces in other projects and for muslins, so it's not a total loss. 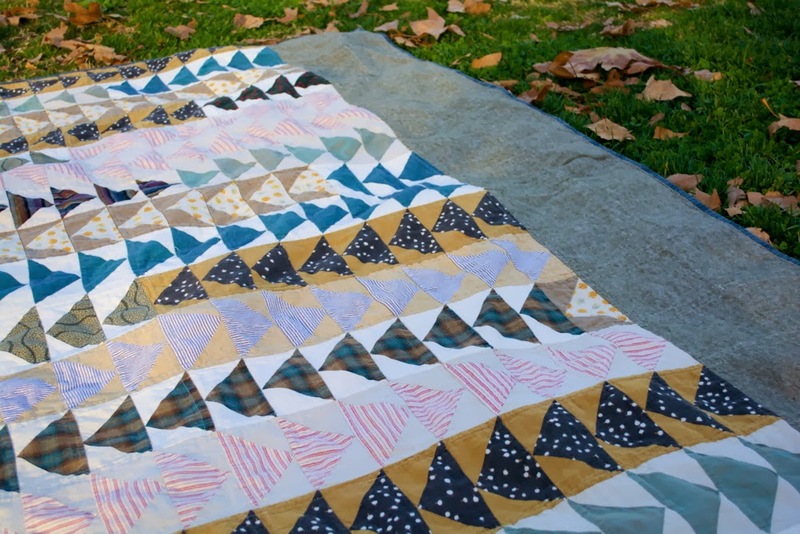 I must say that this has been my dream quilt project for a while, and it made me so happy from start to finish. What's your current dream project?